Sometimes sharing such intimate details about our lives can be difficult. This is especially true if your personal testimony is especially full of darkness before you found Christ. Remember, this is your testimony, you can share as much as you want or as little as you want. You can also start slowly giving just a little bit of information at a time. For instance, if you read a passage in the Bible and it reminds you of something from the past, it's okay to share that instance at that moment in that post. This sharing will go far in bringing you closer to your readers. Not only that, you never know who will read it and have experienced the very same thing you did and decide to change their lives too. The fact that you're human is never something to be ashamed about. The past is washed away, and there is no reason to feel shame, and every reason to feel joy instead. The best way to get started is to start from the beginning. You can even start all the way back to your birth and tell your story post by post, day by day, memory by memory. 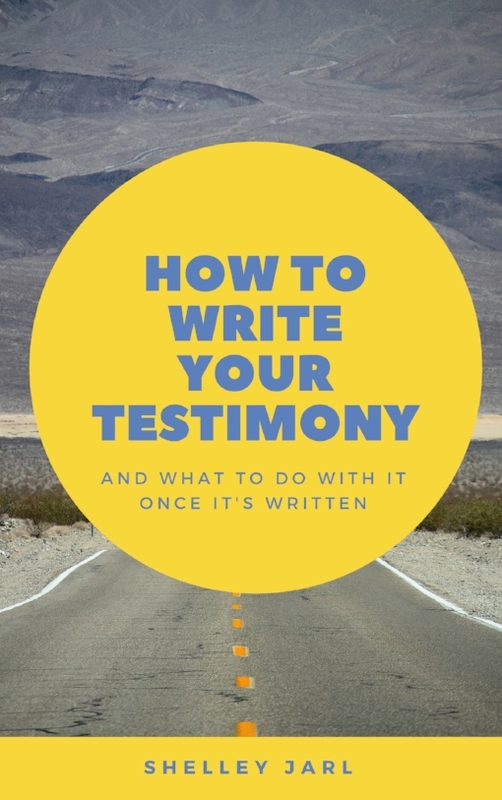 In addition to writing about your testimony you can also create podcasts and vlogs to put into your blog by simply pasting the code and giving it a description, so if writing seems overwhelming consider using digital video instead. You can do this with programs likely already on your computer such as Microsoft Movie Maker, or your webcam and the software provided by YouTube.com. Remember, you do not have to be perfect to share your testimony, you only have to be honest, and real. Struggle is a normal human condition, and one that is made better by our faith, so never be ashamed to admit your faults and follies. Sharing your testimony can also be a way to renew your faith as you share you'll remember, and as you remember you'll be assured of your place in the world and the hereafter.